Users of string trimmers work on larger lawns and multiple lawns for a much longer time. That is why a commercial weed eater should be light in weight to handle easily. A heavier machine will wear you down quite easily, making it hard for you to accomplish your tasks or even get the work done on time. Fortunately, most of the available commercial machines are almost of the same weight. After considering the features and usability of the weed trimmer, always go for the lighter option. The type of engine a commercial weed eater has is important to determine how easy it will be to use as well as gas consumption. The popular ones in use today are the two-stroke engine trimmers, which use both oil and gas but can be very difficult to start. There are new four-stroke engine trimmers too, that were recently released. The latter seem to work much better than their former counterparts. Even though they are much larger and heavier, the four-stroke engine trimmers consume the same fuel type as a lawn mower and are friendlier to the environment. There are mainly two types of shaft options when it comes to commercial weed trimmers; straight and carved shafts. The two are not really different from each other but the choice you go for should be determines by the type of job you need the trimmer for. The curved weed eater will be perfect for light trimming. Their carved nature makes it easy for the user to maneuver and trim in areas that could be difficult to trim with a straight shaft. For a lawn that is covered in trees or lots of posts, this is the right choice. Trimmers with straight shafts on the other hand are best to use where lots of trimming is needed. 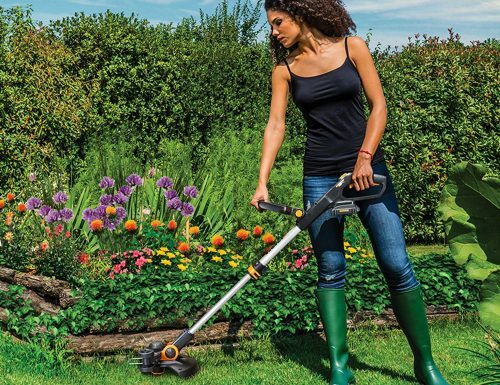 A vibrating weed trimmer will end up tiring your hands more, making it difficult for you to cover a larger area. Trimmers with gas engines are known to vibrate more. Good thing is that there are those trimmers that feature an anti-vibrating technology, which could be more comfortable to use. Commercial weed eaters are good for a perfect finish whenever you mow a large lawn or many lawns at the same time. They are designed to make your work easier at the same time allowing you to reach out to those difficult areas for a clean finish. A good choice should be picked though, when you are buying a trimmer for your commercial needs.